Marketing is a fast-evolving field and particularly digital marketing has evolved at a very fast pace in the recent years. Every marketer knows that his biggest challenge is to beat customers’ expectations. In this regard, the biggest friend of every marketer is data. Marketers are managing large volumes of data to generate actionable insights and using them to manage the customer experience better. Offering a customer centric experience is every brand’s challenge. To provide such an experience, marketers must apart from managing a firehose of data, align several metrics, connect the various online channels of marketing and tap into the latest tools for a consistent customer experience. Apart using AI based tools and other latest technologies like augmented reality, marketers have to remain ready for the ever-changing market and consumer dynamics. Now they need to be even more precise and active to attract, acquire and retain customers than ever before. Apart from the products and services, the customer experience a brand offers is also very important for customers. Designing perfect customer experiences requires both the use of technologies and exceptional tactics as well as an eye on data and analytics. One cannot talk of marketing without talking of customer experience. It is like customer experience has become central to marketing and the strongest focus area for marketers. Offering more personalized experiences is not possible without the use of data and analytics. The role of marketers itself has undergone a major change in the recent years driven by these changes in the marketing landscape. Most of the changes happening in the business world are related to data and technology. Acquiring, understanding, translating and leveraging data is the exclusive jobs of the marketers. The traditional focus of the Chief Marketing Officers used to be on communication and campaigns. However, they need to be user experience experts apart from marketing communication experts. Data has become fundamental to nearly everything from advertising to media and innovation. While there is more high-quality data available now, it has not simplified the job of marketers but made it all the more complex. It is being generated from several sources and marketing is at the forefront when it comes to using data and turning it into practical and actionable insights. Historically too, marketers had to integrate data to form a sensible picture from it. This has not changed but the volume of data being generated is now so large that the marketers’ job has become a lot more complex. They are now working with a vast amount of data and several functions. The real complexity lies in integrating this vast amount of data and forming a sensible picture based upon which they can make strategic marketing decisions. There are several sources and channels including a large combination of media, channels, platforms and devices generating consumer data. Several tools let marketers deliver personalized experiences on a massive scale. If marketers can skillfully leverage these sources of data and technology, a business with a million or more customers can deliver personalized experiences for each customer with just as much ease as one with just 10 or twenty customers. However, this is not the entire picture because there are several complex questions every marketer need to ask himself. These questions have emerged from the rising scale and velocity of information. From selecting the right technologies to work with to which untapped sources of data to focus upon and if all the datasets are integrated or lying in different corners, marketers need to find answers to multiple questions. Data has changed many more things and marketers are now making allocation decisions in real time which was not possible earlier. Data on the one hand brings new opportunities and on the other hand is also a responsibility and managing it ethically a challenge. User privacy and data security are also major challenges that the marketers are dealing with. The best marketers strive to uphold the users’ trust. They follow the best practices and standards that are required to retain consumers’ trust. Data, while it is powerful is also sensitive and requires being managed responsibly and ethically. Apart from that what best marketers do it to not to annoy users by inundating them in ads and messages. Data, if used responsibly can help you build lasting relationship with your customers. It is the responsibility of the marketers to handle and use the data ethically to create value for the consumers. One of the biggest challenges before the marketers is meeting the customers’ expectations. For most of the customers, the customer experience has become more important or just as much important as the core product/service. As such, today’s marketers are faced with a more demanding situation than their predecessors. Marketers therefore need to expand beyond the traditional circles, tactics and tools to meet the customers’ expectations. However, matching the customers’ expectation is one of the most difficult tasks even for the best marketers. As per Salesforce research, only around 49% of marketers believe that they are able to provide experiences completely aligned with customers’ expectations. The customer landscape is always evolving and one of the marketers’ top priorities is to adapt to it. They need to bring the several pieces of data acquired during the various stages of customer journey to build a customer identity and form strategic marketing plans on their basis. Data has become fundamental to marketing which is because of the growing importance of personalized experiences. Customer experiences matter more than ever and designing them is not possible without using data. Since the marketers are experts at customer demand and behaviors, they are leading the customer experience initiatives across the organizations. They are also aligning with other departments including sales and advertising to derive better results. Every year the number of sources from which marketers collect data and the volume of data has grown at a fast pace. From 2017 to 2018, the number of sources of data has grown by around 20%. In the same period, marketer’s use of second party data grew from 58 to 69%. Hospitality and finance sectors are anticipating major jumps in the number of their data sources from 2017 to 2019. However, manipulating such large volumes of data to generate actionable insights is possible only through the use of latest technologies. Marketers are turning to several of such technological tools and platforms to achieve higher real time engagement and build customer experiences per the customers’ expectations. A larger number of marketers are using AI, Data Management, marketing automation, CRM and other technologies to customize data and produce actionable insights. The best marketers are data savvy marketers whose personalization skills have helped them create outstanding experiences. Personal engagement has become very important due to which the most successful organizations focus on the entire journey. Real time engagement is the top priority for the marketers and also their top challenge. To achieve this, the marketers are not just upgrading to the latest technologies but also unifying their data sources to create truly unique customer experiences across the entire customer journey. Unifying these data sources also helps at creating the right experience on the right channel at the right time. 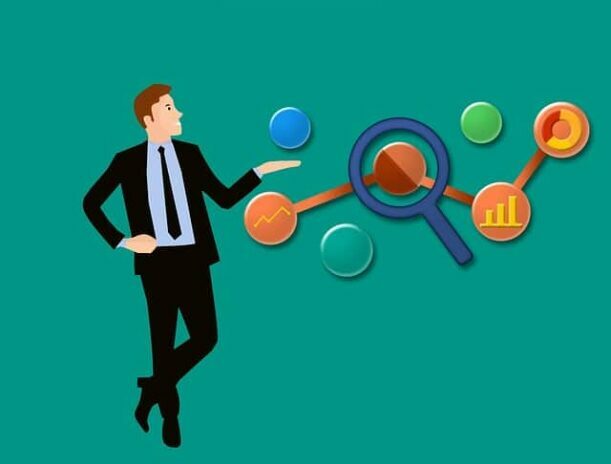 However, even after the marketers have unified the sources the large number of sources from which data is derived makes it all the more challenging for marketers. While none of these technologies is in itself a complete or default solution, still they have helped marketers manage their burden better, by managing several data sources and acquiring a clear picture of the customer to serve the right experiences at the right point. Several cases have proved that digging into data can yield more compelling results and improve sales productivity. Research has also showed that these technologies like DMP and Marketing Automation can help you dig deeper and sort through this data quickly so as to reach the right customer at the right places. From sorting through the data to segmenting your customers, the marketers need to do several things at a faster pace to achieve their targets with speed and efficiency. Qualitative considerations are still an important part of businesses’ marketing strategies. However, quantitative assessment has become all the more important now. Have a look at how DMPs and Marketing Automation Platforms are helping marketers accomplish their purpose. A complete view of customers across all devices from what they are watching to what they are buying. Deliver personalized content across all the key marketing channels. Conduct marketing analytics and study the performance of advertising as well as optimize performance. Best marketers look for a few important things in the DMPs including its ability to track customer behavior beyond only transaction records, its ability to track and record across the various platforms like mobile, tablet, PC and payment devices, its ability to flexibly merge second-party and third-party data as well as its ability to run customer analysis for predicting purchases. Flexibility is important. Marketing Automation platforms are also highly efficient in terms of improving the results of your marketing efforts. When integrated with CRM, they can help you take things to the next level. Marketing Automation platforms can help you generate better leads as well as nurture them. Apart from that marketers can use these platforms for personalizing the customer journey. You can use the data you source from several channels for smarter decisions. Marketing automation software also helps marketers manage content and campaigns with efficiency. Research by Annuitas group showed that marketing automation is effective and the companies utilizing marketing automation for nurturing leads have seen a rise of more than 4.5X in their qualified leads. Marketing platforms also offer a single solution for dashboarding and analytics, closed-loop reporting, and collecting and storing data. In this way they offer a great solution for measuring campaigns and predicting consumer behavior. Moreover, they can help you bring higher alignment between marketing and sales. Marketing in the twenty first century has become highly complex for several reasons. Analyzing and managing data to deliver personalized experiences is a key challenge before the marketers. The bigger challenge is meeting the customers’ expectations. Connecting with customers now requires analytics, technology as well as cross functional collaboration. Handling as much data and manipulating it to turn it into actionable intelligence requires data savviness. The good news is that now there are several technologies and tools to help the marketers. Challenges still remain but the number of marketers using these tools has kept growing. Now a larger number of them are using DMPs, Marketing automation software and other technologies to get a unified view of the data and establish customer identity as well as achieve better personalization. While understanding data has become central to achieving results in marketing, marketers are now turning to an even larger suite of technological tools to sync all the data generated from several sources and for achieving better personalization and effective results.